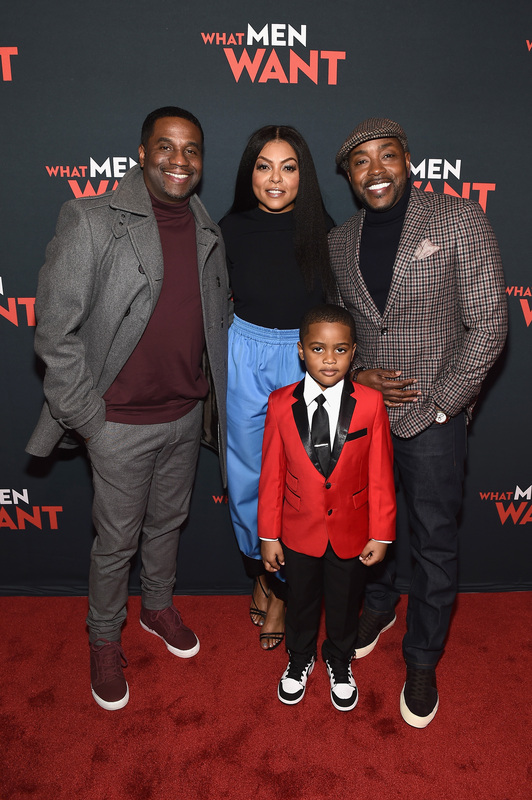 TARAJI P. HENSON, PRODUCERS WILL PACKER AND JAMES LOPEZ, AND ATLANTA MAYOR KEISHA LANCE BOTTOMS, AMONG OTHER SPECIAL GUESTS. This little cutie steals the show in the film. You might of seen him in the trailers with his cute “Wakanda Forever” chant with a very unusual face mask! He was too cute on this carpet and handled himself so well and mature of his age. I can’t wait to see him in more movies in the future! Q: How did it feel to do What Men Want in Atlanta? 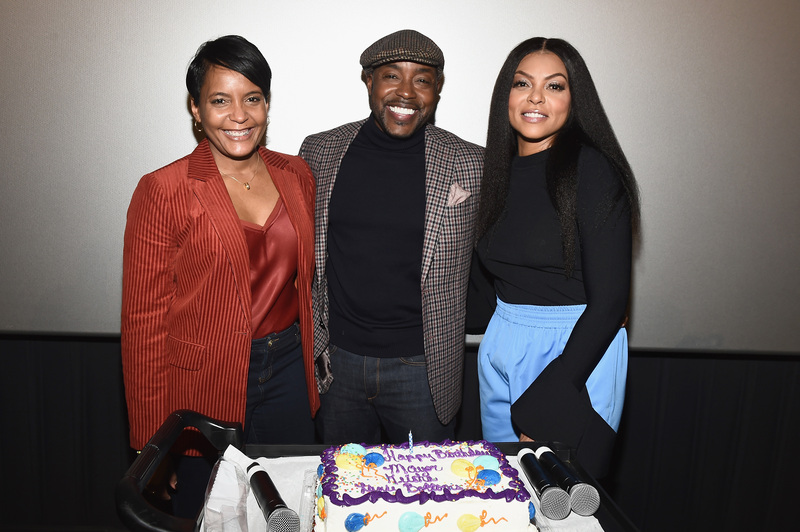 Taraji: I have done several films in Atlanta, and none of them had anything to do with Atlanta. This was the first time I shot a film that is based in Atlanta, that is filmed in Atlanta, this character lives in Atlanta and I was like yessss finally! It’s weird when you shooting in another place and your character lives in another city, its like you’re telling a dirty little lie. It felt good to uplift Atlanta, I’ve been coming to Atlanta since way before my son was born. I love this place. I remember when the boom started happening and everyone started coming down here in the early 90s. My son was born in ’94, I remember coming down here since 1990. I remember what it [Atlanta] was than what it is today. This place is growing, and it’s a lot of people moving down here. Look at it now, now we are doing movies about Atlanta! That’s amazing! Q: What did you learn while filming something different of What Men Want? Taraji: You know what? 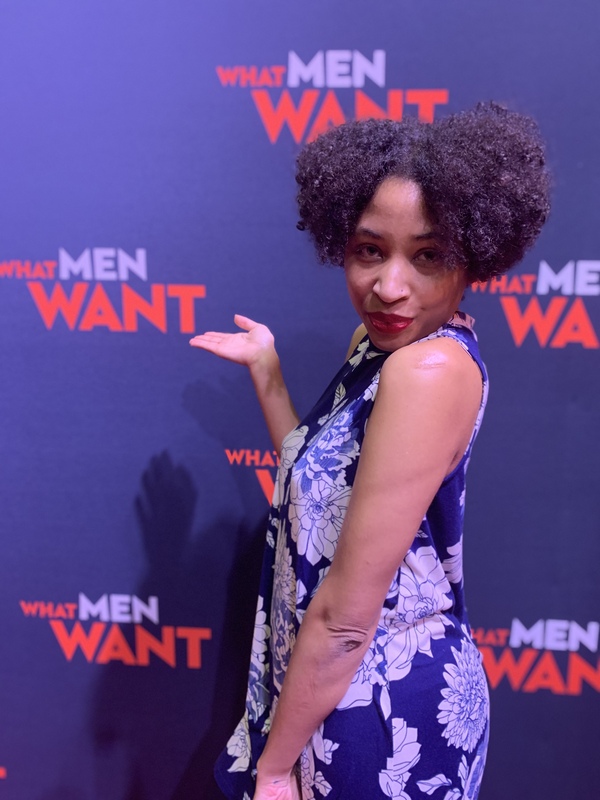 I don’t think men want anything different than what women want, especially when it comes to relationships. They want security, they want respect, unconditional love like a mother. They want to have the love of a mother, just like we do. We want someone to feel our love and lift us up and thats what mothers do. Mothers do the same thing. They [men] may express it differently, but deep down they want the same thing. Thank you for interviewing with both Kim Ford (JubileeMag.com) & I. Also congrats to your upcoming Walk of Fame Star in Los Angeles. So proud of my girl Rita K.Davis. Usually she is on the red carpet doing media as a correspondent with me, but not this time. She was a cast member of the hit OWN TV original show “Ready To Love”. Proud of you Rita when Media becomes Talent! Beautiful! 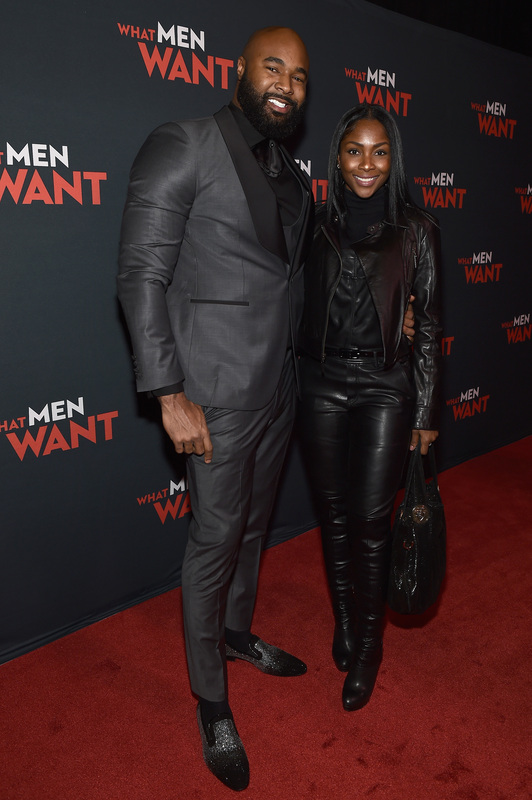 Congrats to this couple from OWN TV’s “Ready To Love” show, as they were a match for the reality series. They looked really cute on the carpet! 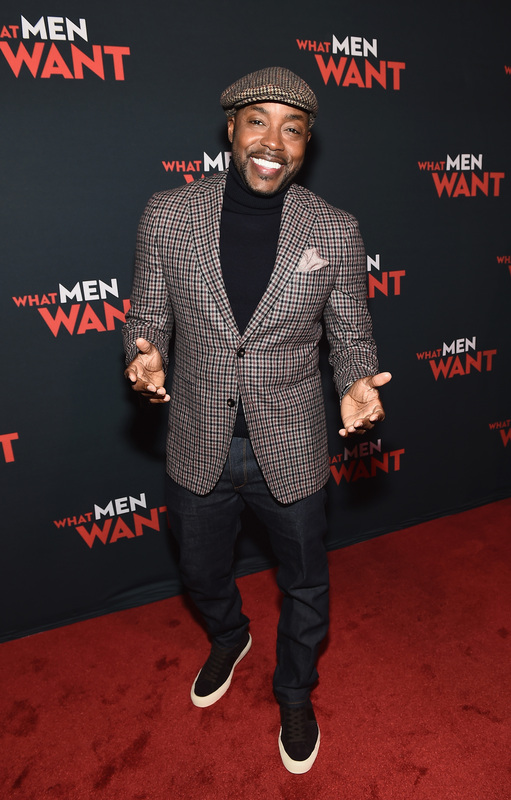 Ali Davis (Taraji P.Henson) is a successful sports agent who’s constantly boxed out by her male colleagues. When Ali is passed up for a well-deserved promotion, she questions what more she needs to do to succeed in a man’s world, until she gains the ability to hear men’s thoughts. With her newfound power, Ali looks to outsmart her colleagues as she races to sign the next basketball superstar, but the lengths she has to go to will put her relationship with her best friends and a potential new love interest to the test. 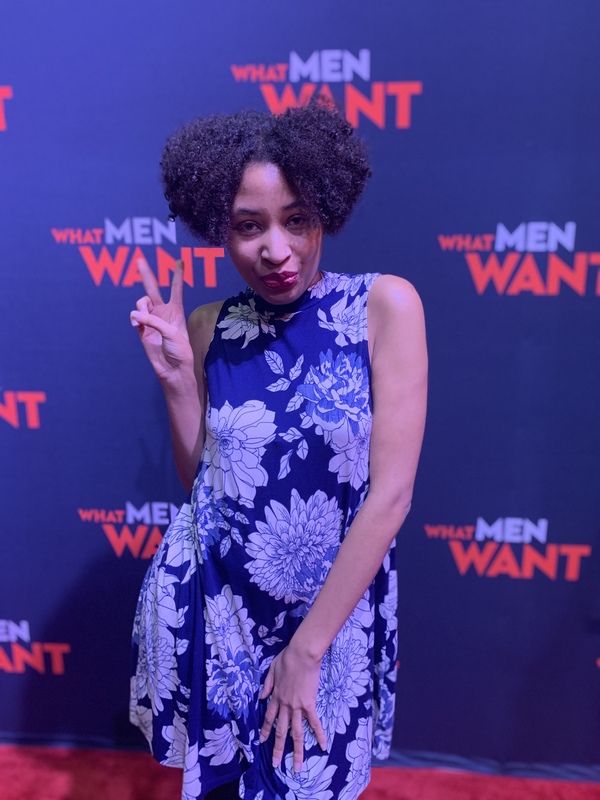 This is me on the day of set for the movie What Men Want. My small cameo role, if you do see me, I will be in a “church/wedding” scene as a guest. Let’s just say it was a really crazy scene. You will see my face a few times here. 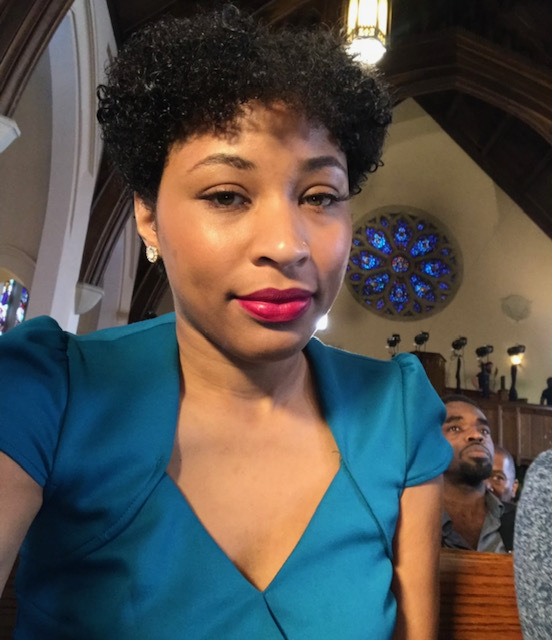 My hair was much shorter too (filmed May 2018) when I just cut my hair. Look for me in a teal dress, come back on this post and comment if you saw me! Will You Look Out for My Cameo in This Movie? Wow! This movie is so interesting! I wish I could watch this soon. What a lovely set of photos. I am a big fan of Taraji, she is such a classy actress. This must have been so much fun! 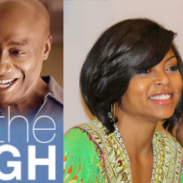 I’m a big Taraji fan, and I’ve seen the TV spots for this movie. I can’t wait to see it! This event looks like it was a lot of fun! I love Atlanta — we lived there for 3 years. It has changed a lot over the last 15-20 years. I still miss the city! Great post! What a fun event! The preview is so funny; can’t wait to see it! What a fun event! I actually hadn’t heard of this movie before, but I will have to check it out. The red carpet sounds like a blast. 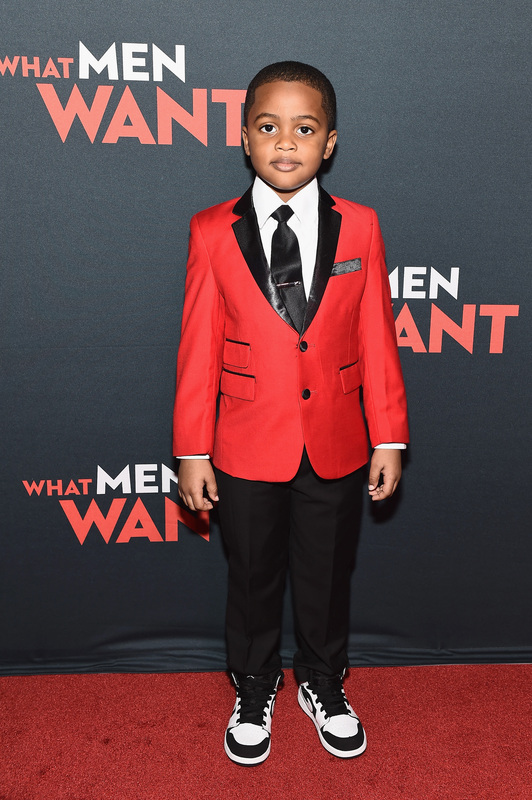 How cute is that young actor in his red suit! These are the events I like, lots of elegant people and good stuff. Looks like you had a great time. Nice photos! What a fun event this was! You looked beautiful and it sounds like it was a great movie too! Awww that’s super exciting. I’ll look for you! I’m definitely going to see this one with the girls. i already wanted to see this moive, but now? i gotta watch just to see you! I have been looking forward to this movie. Now, I will definitely keep my eyes peeled for the extras so I can spot you! How cool you had a cameo! 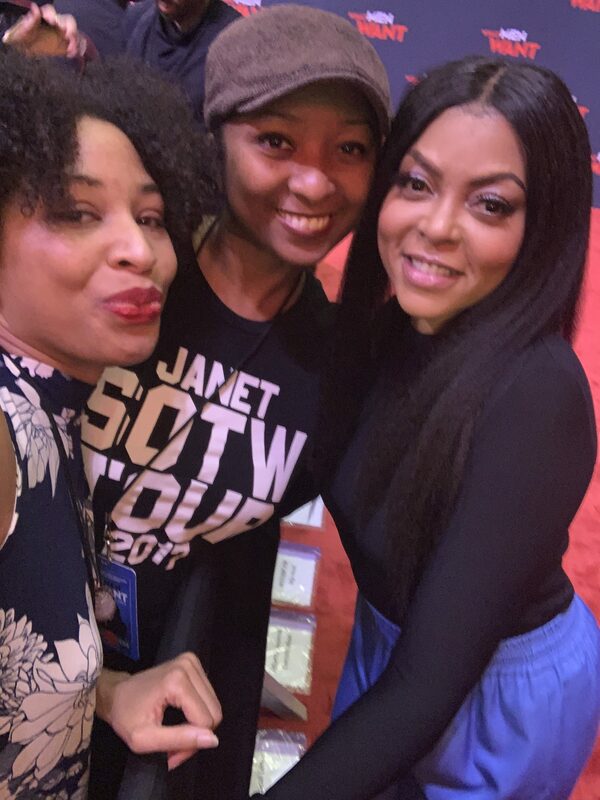 So cool you got to interview Taraji! And you looked beautiful! This seems like it was a really fun and festive event. Looking forward to this movie. This movie is something tha me and my husband would really love. I am so excited to watch this. Oh wow, Such a great experience you had to witness the red carpet. SOunds like a great movie. Such a fun experience and event to attend! Congrats to you on getting to be a part of it. As soon as I saw the preview for this at the movies this weekend – I knew that I just had to see it. Definitely on my list! Sounds like a really fun movie. I will watch this whenever it becomes available for viewing in my area. That little boy is so cute too! Such talent for a boy his age to star in a film. Looks like such a fun cast for such a fun movie! How amazing it would be to be able to attend one of these red carpet events. I want to see this movie. The little kid talking about Welcome to Wakanda in the trailer was funny. Ooooo now this looks like one awesome movie!!!! I will definitely be checking it out for movie night! I didn’t even know about this film. Now I want to check it out. Great interview, by the way. What a fun concept! I love this type of event and the energy that everyone exhibits! I will have to check this one out. Oh wow. You really get to be at some awesome events! This new movie sounds interesting. I will have to wait for it to be shown here. I had seen the inverse version with Mel Gibson, this one? Did you like it? Did you have fun? I haven’t heard of this movie, but it sounds cute. I will be on the lookout. After reading this I guess I am not going to miss out this movie. Super cute and interesting to watch it I am so sure. I cannot wait. I’m going with a huge group of ladies to see this movie and I’m super excited. I will look for you in that church. Thank you for the review I appreciate it, I’m so amp’d to see it. This movie looks like such a great comedy! Can’t wait to watch it. 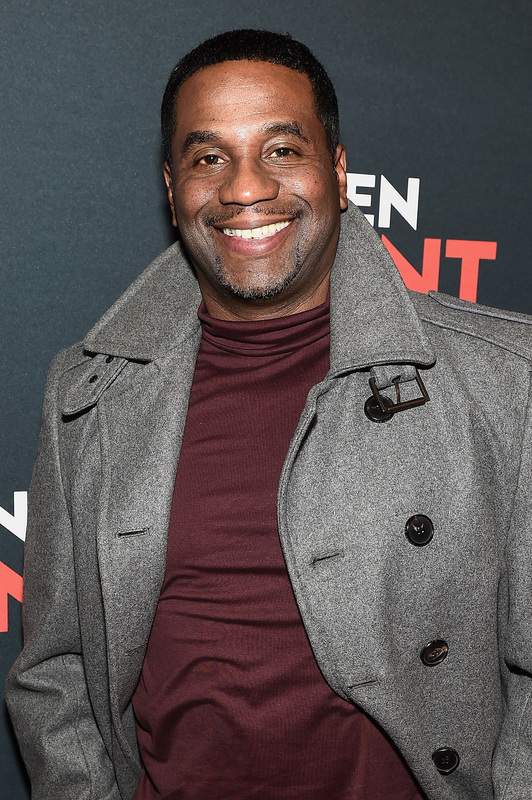 Congrats on your cameo! 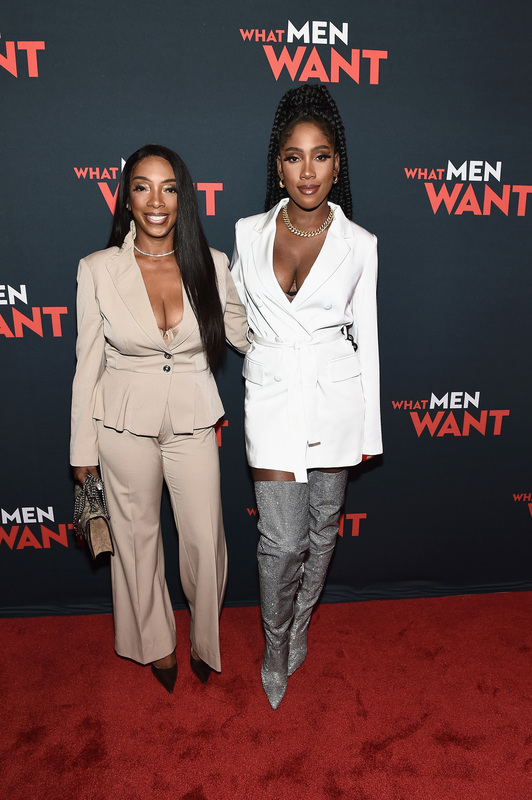 This movie looks so good, and the premiere looked so fun! 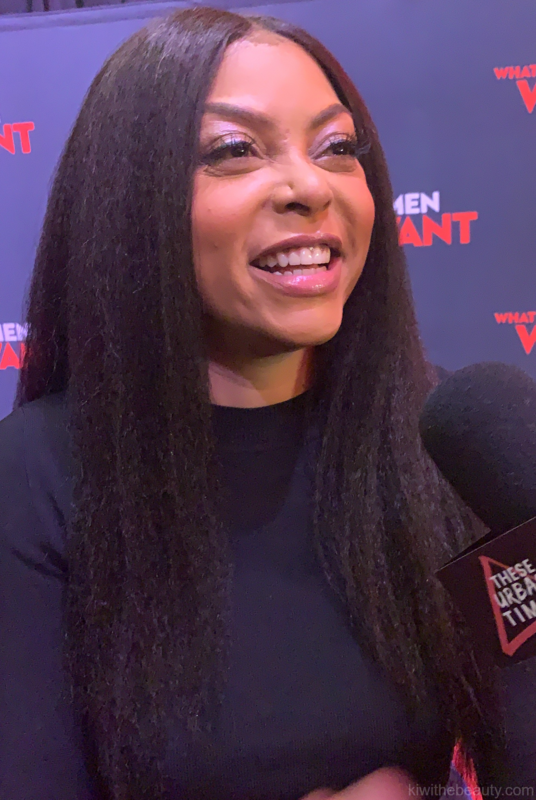 That was a great interview with Taraji. I’ll look out for you at the movie! I will definitely look at for your cameo in the movie. 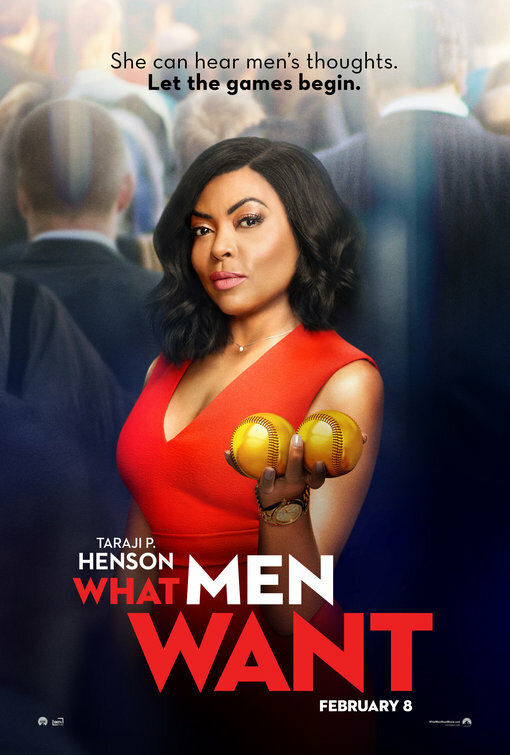 I am looking forward to watching What Men Want because I love Taraji P Henson! It seems like a nice movie to watch. I’m interested on this. I hope it is showing now in my local cinema. I will definitely be looking for your cameo if I get a chance to see the movie. It looks pretty funny and entertaining. This looks like such a fun film. The trailers are cute. I’ll look for you in the church scene! Wow!! The stars on that red carpet looks good. I imagine you had a great time. I want to see the movie. 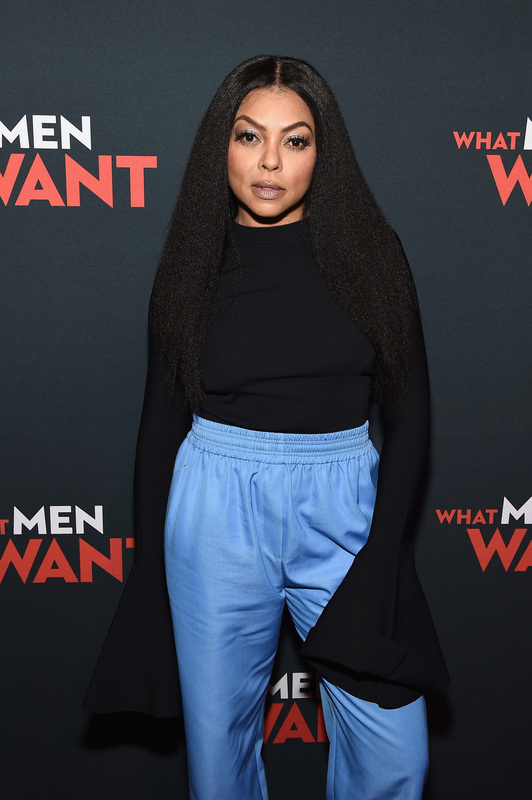 I like Taraji. What did you think of the movie? I will definitely look for you in this scene. Wow! That was totally awesome! Those pictures are so beautiful! Thanks for the share!